Melt the dark chocolate in a microwaveable safe bowl for 1 minute in the microwave. Remove the pits from all the avocados. Add all of the ingredients to a food processor or high powdered blender. 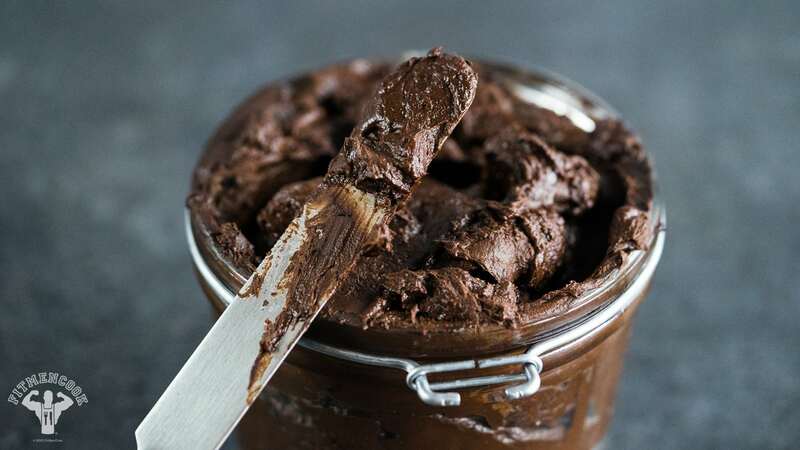 Blend until smooth – should resemble smooth peanut butter or nutella – for about 2 to 3 minutes. Note: you MUST use ripe, soft avocado or the recipe will not work. Store in an airtight jar in the fridge for no more than 2 weeks, but I recommend just 1 week. If you want to store it after 1 week, store it in the freezer.